1) (Dublin; Fun. Ent. Ulster’s Office, 1603, John Morphy, Surgeon). (city of Kilkenny; Fun. Ent. Ulster’s Office, 1666, Austace Murphy, dau. of Andrew Murphy, granddau. of Patrick Murphy, of Kilkenny, and wife of Luke Hore, of Waterford). (Graignamanagh, co. Kilkenny, and Malaga, in Spain; allowed by Hawkins, Ulster, 1787, to John Murphy, Esq., of Malaga, grandson of Francis Murphy, Esq., of Waterford, who was the grandson of Timothy Murphy, Esq., of Graignamanagh). Quarterly, ar. and. gu. four lions ramp. counterchanged, on a fess sa. three garbs or. 2) (Kilbrew, co. Meath; granted to William Murphy, Esq., and the descendants of his grandfather, William Murphy, of Mount Merrion, co. Dublin). Per pale or and gu. on a fess engr. betw. four lions ramp. two garbs all counterchanged. Crest—On a mount vert a lion ramp. gu. bezantée, holding in the forepaws a garb or. 3) or O’Morchoe – (Oulartleigh, co. Wexford; represented by Arthur Mac Morogh Murphy, Esq., only son of the late Arthur Murphy, Esq., of Oulartleigh, d. 1867; descended from Arthur Murphy, alias O’Morchoe, eldest son of Daniel O’Mohchoe, Esq., of Outlartleigh, and great grandson of Brain McHugh Ballagh O’Morchoe, who was granted Oulartleigh 1618). Same Arms. Crest—On a chapeau gu. turned up erm. a lion ramp. also gu. holding betw. the paws a garb or, motto over, Vincere vel mori. Motto—Fortiset hospitalis. 4) (O’Morchoe) Argent, an apple tree eradicated fructed proper, on a chief vert a lion passant or Crest: on a chapeau gules turned up ermine a lion rampant also gules holding between the paws a garb or. Motto: Vincere vel mori. This Irish last name is an Anglicized form of the Gaelic surname O’’Murchada, meaning “the descendant or son of Murchadh”, which was an old personal (first) name deriving from the words muir (sea) and cath (battle) and hence literally translate to sea warrior or sea battler (and is thought to be related to Vikings, who were indeed sea warriors). The family rose to prominence in county Tyrone, Ireland. One source assets the name was first present in Wexford, a place founded by Vikings and known as Waesford. There are many ancient bearers of the given name from which the surname Murphy derives: 1) Murchad mac Aedo was the King of Connacht in 839 AD and was the great grandson of Cathal mac Muiredaig 2) Murchad mac Brain Mut was King of Leinster from 715-727 AD, and 3) Murchad mac Diemato who was King of Uisnech in 689 AD. The first recorded bearer of this last name was Domhnall Dall Ua Murchadha who was documented as living in 1127 AD. 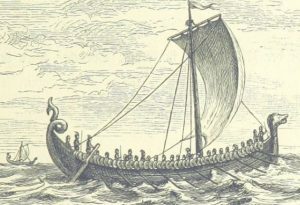 Soon after the introduction of surname in Ireland, Flaherty O’Murroghoe, chief of Cimel Breaghain, is recorded in the Annals in county Donegal in 1031 AD. The following was written of Murrough/Murchadh (in the book The Ancient Irish Goddess of War by W.M. Hennessey) as he fought against the Danes: “he was seized with a boiling terrible anger, an excessive elevation and greatness of spirit and mind. A bird of valour and championship rose in him, and fluttered over his head and on his breath”. Here is one interesting fact regarding the Murphy last name: Among the lower orders in the South of England the word murphy signifies a potato. Does this imply that some bearer of the surname introduced that now indispensable vegetable into England from the sister island? Dermot MacMurrough (1110-1171 AD), King of Leinster, was a member of this clan or sept. He was deprived of his kingdom by Ruaidri Ua Conchobair, the High King of Ireland. He solicited the help of King Henry II of England, and was involved with the Norman invasion of Ireland. Common spelling variants or names with similar etymologies include MacMurchada, MacMarrow, MacMurrough, O’Murphy, Murphey, MacMurphy, Murchadh, Morphy, O’Morchoe, Murray, Morrow, O’Murchu, Morchoe, Murfie, Morfie, Morfey, and O’Murroghoe. It is also the Manx (Isle of Man) form of Curphy. The last name ranks Murphy ranks 58th in popularity in terms in the United Status as of the 2000 Census, and. The name ranks particularly high in the following six states: Massachusetts, Connecticut, New Hampshire, Rhode Island, New York, and Maine. In England, the last name is also very common: it ranks 67th in popularity. It ranks highest in the following four counties: Lancashire, Cumberland, Middlesex, and Durham. Further, Murphy is the most common surname in Ireland. It ranks first in three different Irish counties: Cork, Wexford, and Louth. An old book titled “Special Report on Surname in Ireland” notes that 13.3% of the nation’s population bore the surname Murphy. The name is also found throughout the English speaking world: Scotland (69th), Wales (65th), Canada (46th), New Zealand (86th), Australia (45th), and South Africa (680th). The famous genealogist Bernard Burke’s book “The Landed Gentry” discusses one branch of this family: Murphy of Kilbrew. It begins with a mention of William Murphy, Esq. of Kilbrew in county Meath, Ireland who was born in January of 1834. In 1856, he married Anna, daughter of Maurice Blake of Ballinafad, and had two daughters with her, as well as son and heir named William, born in 1857, who married Evelyn, daughter of Captain Maurice Blake. Burke traces the lineage back to William Murphy, Esquire of Mount Merrion in county Dublin, who was also of Kilbrew and Ballymaglasson in Meath. He was born in 1771 and he married Margaret, daughter of Bryan Reilly. Together they had five daughters (one named Catherine who married John Johnson of Warrenstown) and four sons: John William, William, Charles James, and James (of Mount Merrion). He died in 1849 and was succeeded by his eldest son John William Murphy. John married Frances Catherine, the daughter of Christopher Johnson (a General is the Austrian service), and had the following issue with her: William (mentioned above), John (of Mullen, who married Margaret Francis), Mary, Francis Ellen, and Margaret. The Murphy family crest was blazoned in heraldry as follows: Per pale argent and gules on a fess engrailed between four lions rampant two garbs all countercharged. They were seated near Mount Merrion, close to Dublin. A one Archibald Murphy was born in 1666 in Irealnd. Prior to his death in York County, Pennsylvania, he had a daughter named Mary who was born in 1700. She married Jeremiah Lochry Sr. and had numerous issue with him. Stephen Murphy was born in 1770 in Ireland and he married Mary Doyle. They had a son named Walter who was born in 1797 in Wexford, Ireland. He married Mary Connors and had the following children with her: Mary Ann (Hiltz), Stephen, Dennis, Michael, Garret, and Thomas. Captain Dennis Murphy was born in Ketch Harbour, Canada in 1825. He married Margaret Flemming and had the following issue with her: John Stephen, Margaret (Curran), Walter, Sarah Ann, Richard William, Johanna, Harriet (Stancheulase) Cocke, William Stephen, Dennis Christopher, James Patrick, George Henry, and Susan E. His son Dennis Christopher was born in1867 in the same town. He married Catherine Ryan and had three issue with her: Thomas Richard Sr., Margaret Mary, and Edward William. His son Thomas Sr. was born in 1893 in Fall Village, Connecticut. He married Irene Meckel and had a son with her named Thomas. This Thomas was born in 1917 in Bridgeport, CT. The book Genealogical Guide to the Early Settlers, mentions one person bearing this surname: Bryan Murphy of Boston, an Irishmen who in 1661 married a woman named Margaret Mahone. Other early immigrants in colonial America with this last name include Abraham Murphy (Maryland 1674), Daniel Murphy, Edmund, and Howard (Maryland 1678), Edward Murphy (Boston 1766), Dennis Murphy (Philadelphia 1766), Eleanor Murphy (Boston 1767), Ann Murphy (Philadelphia 1773), and Francis Murphy (New York 1803). One of the earliest settlers in Canada with this name was James Murphy who came to Halifax in 1750. The name also was present in the Caribbean: A one Mary, wife of Morgan Murphy, was listed in the burial records of St. James parish in Barbados in 1679. The Murphy family motto is Fortiset hospitalus, meaning “Brave and hospitable” and Vincere vel mori, meaning “Victory or death”. We have four coats of arms for the Murphy surname depicted here. These four blazons are from Bernard Burke’s book The General Armory of England, Ireland, and Scotland, which was published in 1848. The bottom of this page contains the blazons, and in many instances contains some historical, geographical, and genealogical about where coat of arms was found and who bore it. 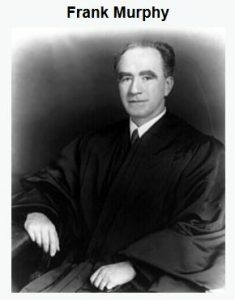 Famous people with this last name include: 1) William Francis Murphy (1890-1949) who was a jurist from Michigan who served on the Supreme Court, was Mayor of Detroit, Governor of Michigan, and Govener-General of the Philippines, 2) Lawrence Thomas Murphy (1961) who was a former Canadian ice hockey player in the National Hockey League, 3) Richard Murphy (1955) who is an architect and businessman from Scotland, 4) Richard M. Murphy (1942) who was the 33rd Mayor of San Diego, 5) Dr. Sean Murphy (1932) who was a football player in Gaelic football that played for Dingle, 6) Timothy Murphy (1751-1818) who was a sniper and rifleman in the American Revolution from Pennsylvania, and 7) Audi Leon Murphy *(1925-1971 who was a Texan-born American actor and combat soldier in World War II who received the medal of honor (his father was Emmett Berry Murphy, a sharecropper of Irish descent). The three most prominent symbols in the Murphy family crest are the garb, apple, and lion.